Aztec International S.A. is a leading supplier to the European market of wide range Master Flash® roof/pipe flashings, as well as powder painted screws, Master Seal® washers, and Rubber Plug fastening systems. The main shareholder of Aztec International S.A. is Aztec Washer Company, located in California, USA. Aztec company is well known for its reliability, usage of high quality raw materials and excellent powder painting service as well as short realization terms and fast delivery to any location around Europe. At Aztec our professionals work hands-on to oversee the entire operation, to make sure our clients are satisfied with the quality of the products. 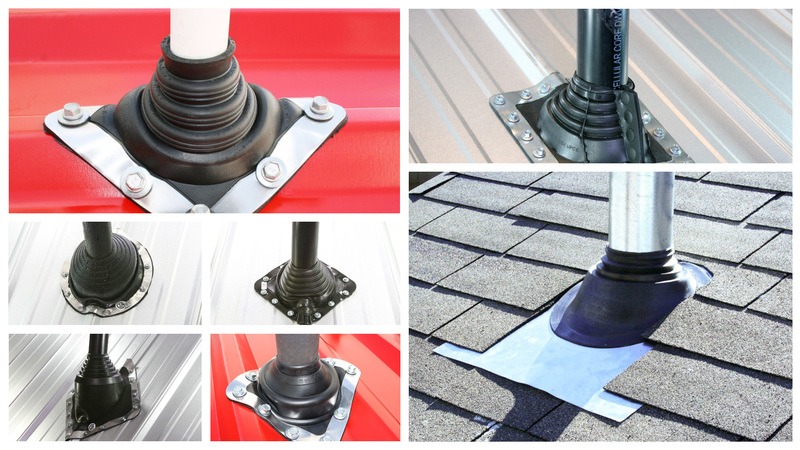 Aztec specializes in the production of Master Flash® roof/pipe flashings. With a wide range of Master Flash® flashings, from Standard to Extreme Angle Master Flash®, we are sure to meet all needs of our clients. Our Master Flash® flashings are made of EPDM or Silicone, the flashings are compounded specifically for maximum resistance to weathering due to ozone and ultraviolet light. Our easy on-site customization allows for easy installation. Aztec's flexible design meets virtually all roofing needs. Sleeve flexibility accommodates vibration and pipe movement caused by expansion and/or contraction. We encourage you to find out more about our products here and we are looking forward to hearing from you.